This past weekend, I was able to attend Loop—Ableton's third annual creative conference—in Berlin for the first time. Housed in the historic Funkhaus recording and broadcasting complex on the outskirts of the city, Loop has quickly become a global destination for forward-thinking artists, innovative instrument designers, software craftsmen, mixed media pioneers, and more. It was an exciting chance to see the latest and greatest of the digital music-making world. Here are some of my reflections. Though not necessarily a new insight, it continues to surprise me how much the "grid of buttons" interface has taken over electronic instruments. What started with Ableton’s Session view and the boutique Monome has blossomed into an ecosystem of grid-based production. I had a chance to play Arturia’s MatrixBrute, which uses a grid for everything from patch design to sequencing, and was blown away by how deeply ingrained the matrix is in the synth experience. I had to chuckle every time I got into a discussion with a fellow conference attendee, and we both started intuitively "air gridding" (it’s like air guitar, but for grids) to communicate music production ideas. So what’s next for the humble grid of buttons? The focus from manufacturers is on making the grid more expressive, with better velocity sensitivity, aftertouch, and improved manufacturing quality. 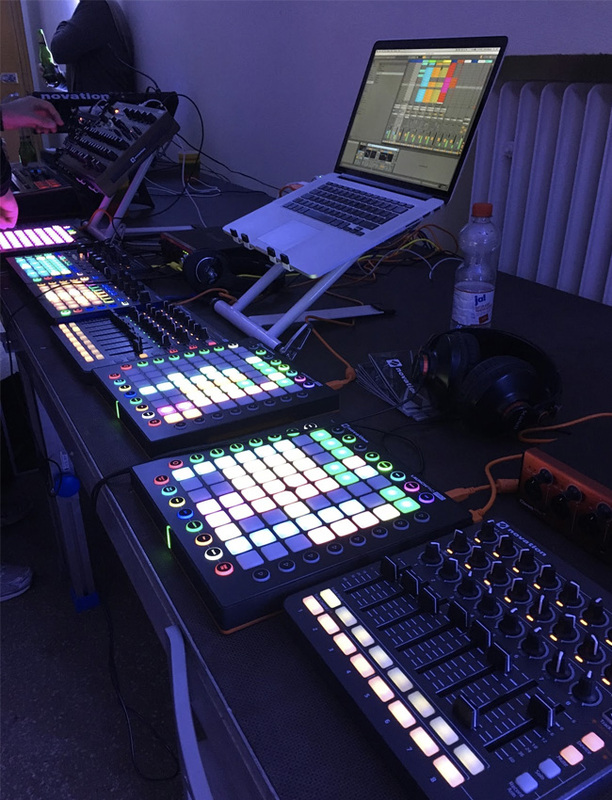 The pads on the Ableton Push 2 feel amazing, and Novation continues to refine and improve their Launchpad products. For software developers, the grid presents an infinitely adaptable interface that still reinforces the constraints that jumpstart creativity. The new polyphonic sequencing view in Live 10, which borrows from the brilliant sequencer in Novation’s Circuit Mono Station, reflects how designers are still discovering new ways to map old concepts to the grid. I remarked to Gerhard Behles, CEO of Ableton, that the grid was the instrument of the 21st century. He simply smiled with a knowing glance around the conference floor. Demoing Ableton’s "Blind Date" installation and its Link wireless syncing protocol blew my mind. Two computers with Ableton Live, separated by a long hall, wirelessly syncing tempo, flawlessly. I jammed on this installation all weekend and never ran into an issue. If you’ve ever tried to sync via Bluetooth, a wifi network, or a mess of cables and converters, Link is a legitimate technological breakthrough that just works. It’s rapidly being incorporated into all sorts of mobile music apps, as well as DAWs like Propellerhead Reason and DJ software like Serato. Still, technology doesn’t make it any easier to have an authentic moment with a stranger. 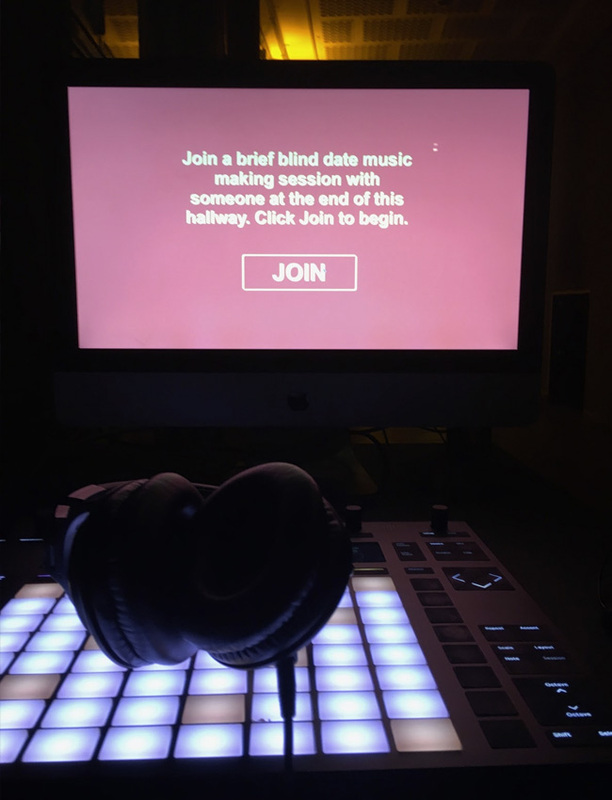 Ableton called it a "Blind Date," but what music makers really need is "eHarmony"—a smarter way of pairing up like-minded creators that are currently feeling the same vibe and tempo. Amazing sound was everywhere at the conference. From the Function 1 system for the lobby DJ to the Dolby Atmos installation to the stunning live performance clarity of Visible Cloaks, every sound at Loop was created with care. 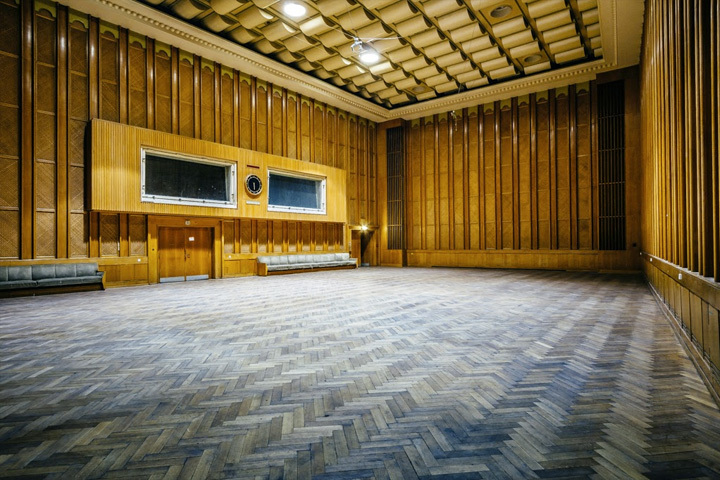 It helps that the conference venue Funkhaus is one of the oldest and largest music studios in the world. Ableton hosted attendees at mythical Berlin club Tresor, and it was everything I expected it to be. My biggest takeaway from a production perspective is how much control the artists and live sound engineers have over the bass frequencies. It’s a whole other level of focus and requires a huge amount of constraint to give the bass drum or sub bass the space it needs in the mix to drive the monitors toward gut-punching low-end. At the analog extreme, the mixed-media duo Sculpture created hypnotizing analog visual projections by spinning painted vinyl records, proving once again that all you need are some art supplies and a great idea. On the digital extreme, ANTIVJ's 3Destruct installation was just insane (see the video above). The space reacted to the presence and movement of the attendees. The projected visualization and its soundtrack would dramatically change along with the audience. It was sonically and visually intense, with the entire installation screaming and strobing. But what was also impressive was the amount of data being collected and analyzed in real time. As sensors and computing power keep getting cheaper, we will see continued innovation in this sphere. Personally, I want to see more musicians embrace the power of visuals in their performances. For what it’s worth, the lighting at Tresor was minimalist. The rooms are so filled with smoke that a simple moving spot light is enough to hypnotize. This installation—called Fugue State—was my favorite interaction at the show. 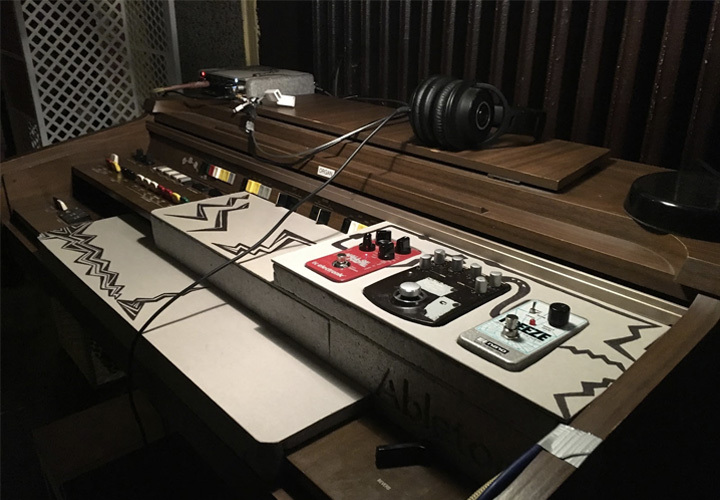 It featured an old Yamaha organ with a built-in drum machine set to a middle C drone, with the sound running through reverb and delay pedals. I chatted with the Ableton engineer that built the installation, and he told me how proud he was of his work and how much he loved how it "went against the grain" of so much of the conference. He told me that, in a digital world, there are no constraints, and he wanted to remind everyone how rewarding (and frankly, fun) embracing constraints can be for creativity. To me, it’s about character: the rough edges of the instrument, the imperfect assembly of parts to make a whole. Growing up as a guitarist, I embraced the fact that I would never play a riff the same way twice, something I struggle with as an electronic producer. I want to keep everything perfectly on the grid. Personally, this fuzzed-out, droning organ in the middle of Ableton Loop reminded me of the joy and brilliance at the rough edges.